Ziyen Inc. Hires Berg Capital Markets, LLC as Strategic Financial Advisor - Ziyen Inc.
SAN DIEGO, March 29, 2018 (GLOBE NEWSWIRE) — Ziyen Inc. appoints Berg Capital Markets, LLC as the Strategic Financial Advisor. Founded in 2012, Berg Capital Markets is a capital markets and financial analytics firm specializing in corporate advisory and institutional / retail investor relations. Berg Capital Markets leverages decades of experience in finance, capital markets, and has long-standing relationships with investors controlling $300B+ in investable assets. 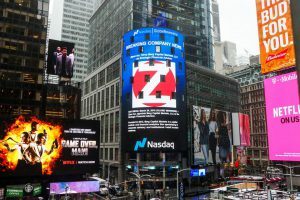 Alastair Caithness, CEO at Ziyen Inc., stated, “The appointment of Berg Capital Markets is another key strategic decision for the company. BCM has refined our capital markets strategy, corporate messaging, and enhanced our focus. The accompanying presentation elucidates this partnership.